Welcome to the May ATAC newsletter. 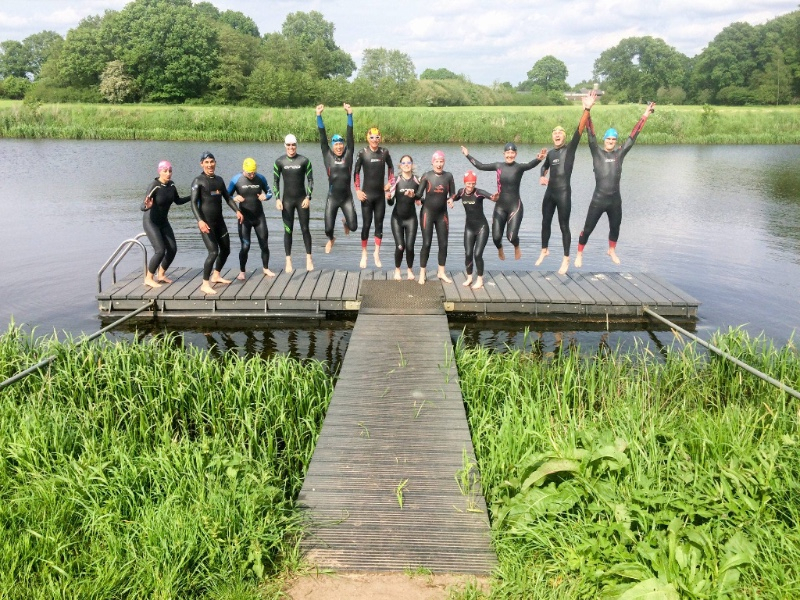 Last month we had a very successful ATAC Triathlon Spring training camp on camping De Roos, you can read all about it below. Also some impressive achievements by some of our members, Sander Boerkamp went to New York and made his mark there. Enjoy the reading and keep sharing your passion. 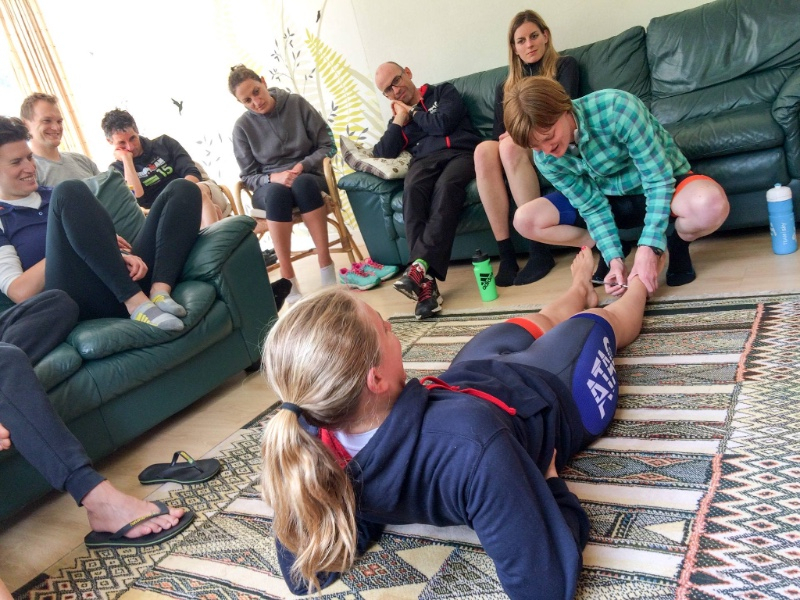 In the weekend of the 21st and-22nd of May ATAC organized its second annual spring training camp at Camping De Roos in Beerze-Ommen, Overijssel. On Friday evening all15 participants arrived at the house where we kicked off the camp with dinner. After everyone got settled and had a couple of drinks it was time for an early night sleep since we had a busy weekend ahead. 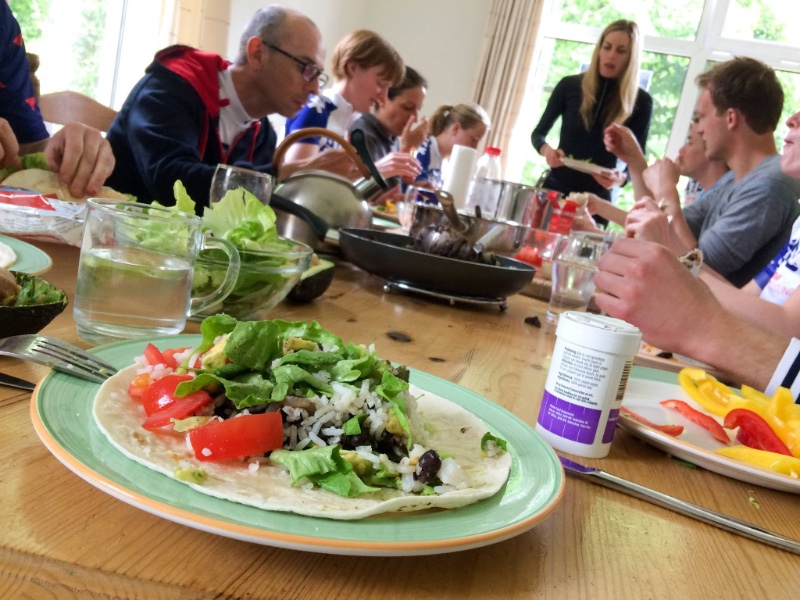 The first day started with an early lavish breakfast to fuel up the carbs for an action packed day, which started with a bike ride down south towards Nijverdal. After 30km we split up into two groups choosing to do either a 60 or 90km route. Eventually the women did the 60km and (after some peer pressure) all the men rode the 90km route. It was a nice scenic ride that took us through different landscapes such as forests, farmlands and the hills of the Sallandse Heuvelrug where we did some climb work. When we returned from the bike ride it was time for lunch. After the lunch Lorna did a Bio Mechanics workshop where we were confronted with our physical ‘imperfections’ (e.g. uneven leg lengths and misshaped backs) and how to fix them in order to eventually race faster and stronger. Next up on the program was swimming. 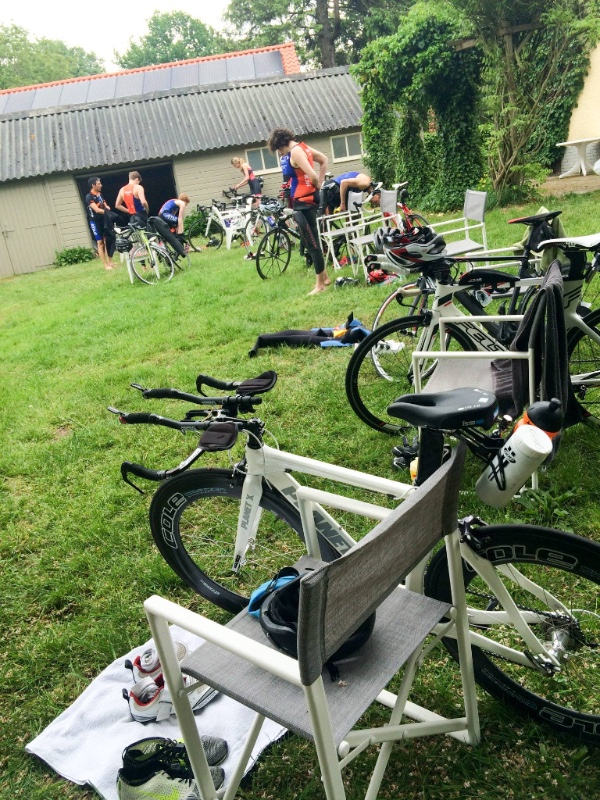 On day two we prepared ourselves for the 2nd Beerze Inernational Sprint Triahtlon. Before the race we did a recon of the bike course and transition training. Luis gave tips and trick for a fast transition. After some practice run in transition we had to get ourselves ready for the race. The garden of the house was turned into a transition zone and after setting the starting order it was time to race. The usually quite surroundings of Beerze saw triathletes in blue and orange pushing themselves hard flying past on the bikes or chasing one and other during the run. The race was the end of a great training weekend with a fun group of people, which truly contributed to enjoyable atmosphere. Thank you all for a very nice weekend and especially Luis for the fantastic organization! Hope to see you all next year! I'm standing 65 meter over the Hudson River on the George Washington Bridge connecting Manhattan and New Jersey. It’s kind of chilly here. And it's still 45 minutes to the start... I’m killing time by looking at all the fancy can't go without equipment that people brought. Campagnolo Bora, Obermayer, you name it. S-Works is the people’s bike of choice here. No need to earn it, just buy it. 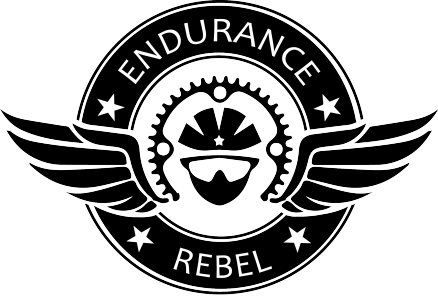 I've already spotted 4 guys with the extra-large extra special pulley wheels with ceramic bearings that were sold at the expo and promised to give you 8-14 watts. Fools… At least time is flying like this. That's good, I'm ready for my century ride. I've been training more than ever and I'm anxious to find out if it will pay out. It should.. It has to...10 minutes for the start, let’s pay attention to the National Anthem. And finally we're off! The tempo is fast but nowhere close to brutal. But it gradually slows down to the tempo of a glorified coffee ride. 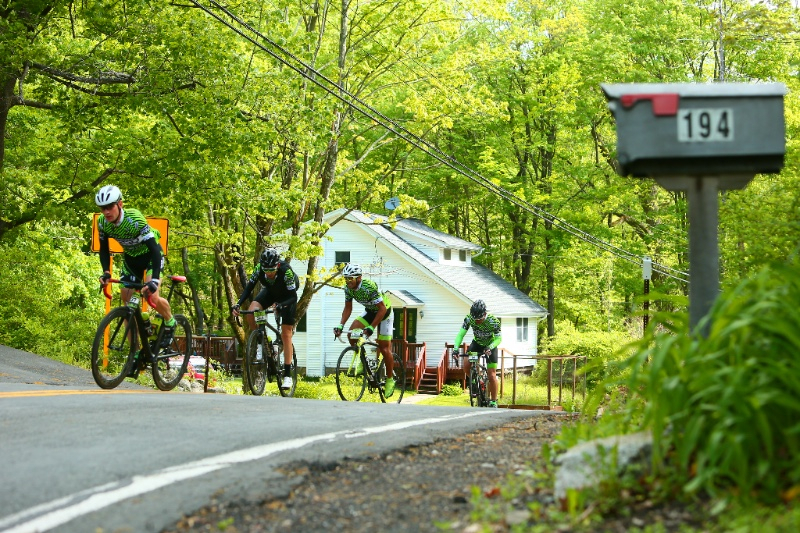 Everybody is waiting for Bear Mountain, the category 2 climb that is about to come. Nobody wants to do work in the front. I better make sure I'm keeping my legs fresh as well and at this pace I even have the luxury of getting of my bike to take a piss by the side of the road. 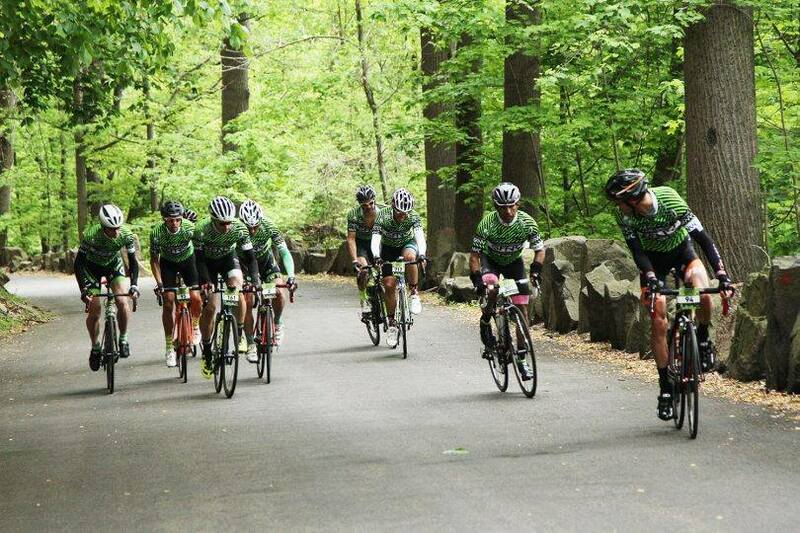 This must be Bear Mountain as I can see little Colombian guys sprinting up with over 30kmph. The pack is now stretched and moving over the road from left to right like a snake. How long can these guys hold on to this ridiculous pace? By the fourth break away attempt I find myself behind climbing the second half on my own pace. 21 guys I count already descending before my group. At least we have a group of 5 to chaise them. One of them looks a bit stronger than me and 2 are basically dead weight. But the 3 of us share the load and after 50 minutes of hard work we are back in the group for position 2... This is starting to look promising. Last climb is Dykeman Hill. I know there are 2 guys I have to beat and the others are probably just too strong, or light... The strong guys fly up as expected but the other 2 are pulling away from me as well. This is bluff! I pull myself together to overtake them and the first time I look back they are both nowhere to be seen. 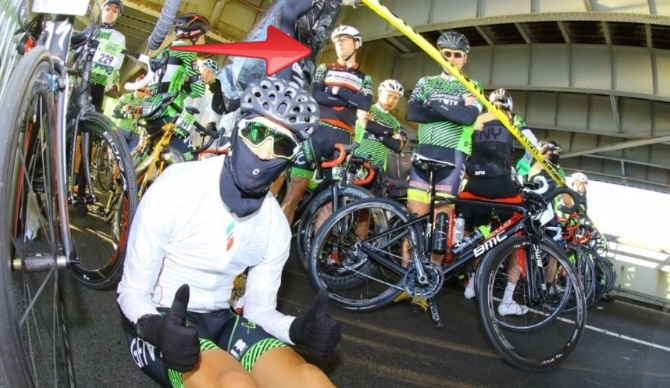 I roll over the finish line in 8th position. Very pleased indeed. This is a fun course, well organized. Roads are properly blocked by very serious policemen. It’s a beautiful scenic route, the vibe is different from your French cyclosportive, this is the US. Perhaps expensive, a bit commercial and you'll find a bigger challenge in a Europe. But if you happen to be in NYC in May I would definitely recommend it! By guest beer drinker "Keith Leddington"
That is the question. When training I find that alcohol really knocks me off balance. Not only because of the obvious calorie gains, but also the day after drinking is usually a write-off. Although I try to train after drinking; it’s never very effective, it hurts, and recovery takes much, much longer. BUT an the season is long; I will have trained consistently for 9 months by the time the main event rolls around. That’s a long time not to drink alcohol at all, especially if you’re like me, and you absolutely love beer. So to combat this, I have strict times in my plan when I can or can’t drink alcohol. These basically tie into races, or key events that I’m building up for. Earlier in the season, it may just be a week before a race, but as the year has progressed, it turns to a couple of weeks before each race. Now I’m in the penultimate phase of my alcohol reduction plan – only drinking once a week during July, before I go all out tee-total for the month of August, and the couple of weeks in September before the Ironman. When I can’t drink alcohol I have found some useful ways of tricking myself into thinking I am consuming; the most influential, by far, is alcohol free beer. Luckily, here in the Heineken-in-your-taps land of Amsterdam, my beloved Dutchies actually love a good fake beer. “Null-punt-null” (0.0%) or Alcoholvrij Bier is frequently included in the beer menu of most cafes, and the increasingly impressive beer selection at Albert Heijn is laden with all kinds of beer sans booze. 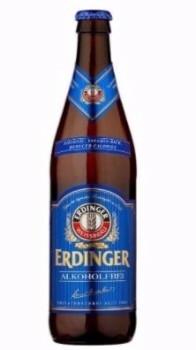 Interestingly, Erdinger alcohol free has recently been moving into the endurance sports scene and has been positioning itself as an after-activity drink. It’s actually not a bad option; ok carbohydrate content, some Vit B12 and some folic acid for good measure. I’m not sure it’s exactly the right positioning for an alcohol-free beer, but tell that to the finishers at London Triathlon who don’t realise it’s alcohol free! They have no clue! Radlers, or fruit beers, are very popular, but just far too sweet (you name it, they’ve got the flavour – lemon, orange, grapefruit, raspberry…). They really just taste like a fruit soda drink, and as far as ‘tricking’ myself into thinking it’s alcohol, they basically just taste like orangina…not quite the right effect. Then you have a fork in the road; malt beers or alcohol free beers. “What’s the difference? !” I hear you cry – fear not. I shall enlighten you. Malt beers and alcohol free beers start the same way; they both go through mashing, boiling the wort, hopping etc, but Malt beers stop before allowing fermentation (yeast is added very late and at a low temperature). Let me tell you; malt beers are disgusting. They basically taste like liquid wheat. They lack the bitterness that’s brought around in fermentation and steeping in hops. Alcohol-free beers, on the other hand, are normally de-alcoholised, where they have their alcohol removed (through distillation or other processes). This is where you can find the good stuff. A lot of these beers taste good, they have similar qualities to full beer and if we’re being honest…some of them have a trace (around 0.5%) remaining. But that makes a difference. I’ve been working my way through these; Wieckse (an alcohol-free white beer), Amstel (more of a malt beer) etc…but none of them top the almighty STENDER. 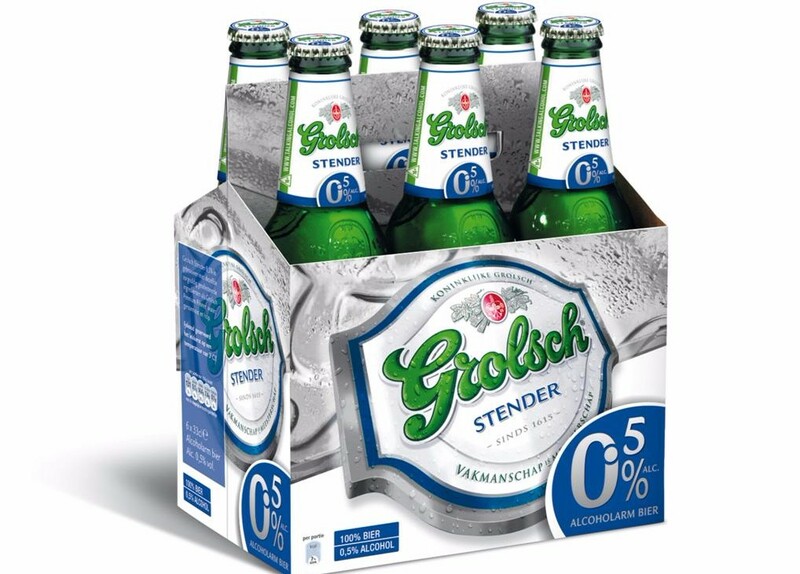 Stender is an alcohol-free beer made by Grolsch, and it’s simply glorious. Tastes like the real thing, has minimal branding on the bottle, and the bottle is a normal Grolsch bottle. It’s basically everything you need to tell your body that it’s getting stuck into the good stuff. Not only that, but it’s super-low-calorie (about 60 kcals a bottle), so I’ve become very fond of massive “Stender Benders” where I can go crazy and whip through a 6-pack with no problem. What an insane life I lead! Stender is also great at parties or gatherings; having a genuine-looking bottle with little branding on it really helps to avoid unnecessary attention and yet another explanation of why I’m not drinking. The “oh just have one” argument is pretty ineffective with me at the best of times, as we know 1 becomes 10, but subtle Stender helps avoid even that little booby trap! This year we'll have the second edition of the ICAN Half and Olympic distances triathlon. This is a great opportunity to race one of the big Amsterdam triathlon events and it's right at our doorstep. 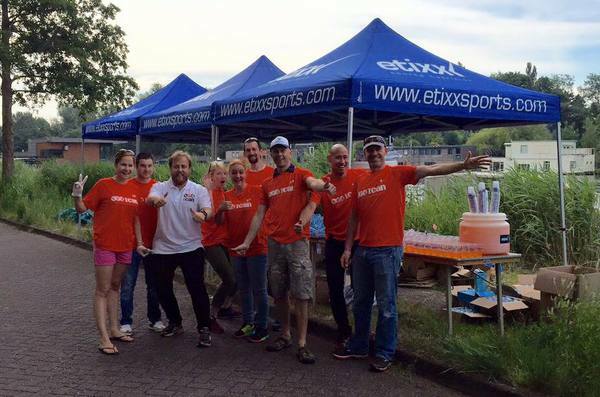 Last year ATAC participated not only with members racing both distances but also with volunteers for the aid stations and with our support tent. This year we hope to be there with an even bigger presence. 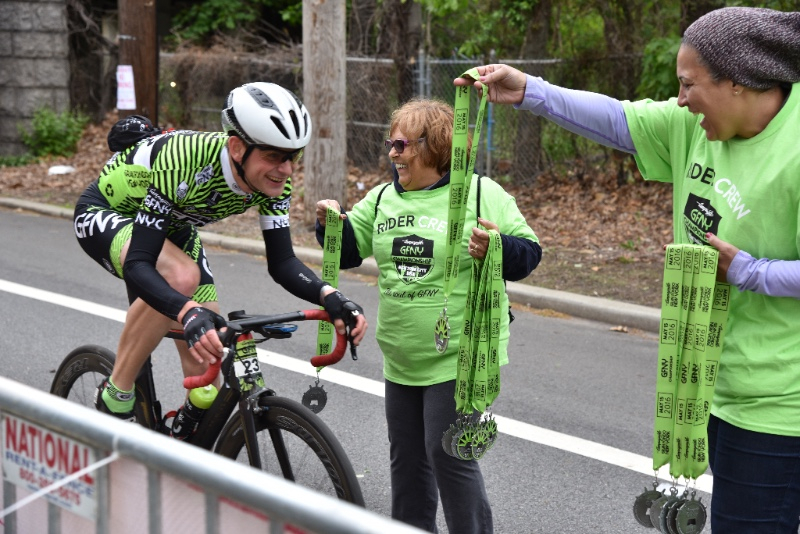 We'll be back at it again, volunteering at one of the aid stations and give our loud support to everyone racing. If you are not racing please join us at the aid station and bring your friends too. 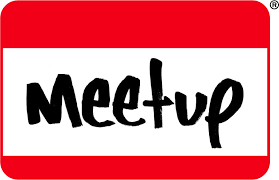 RSVP on our Meetup page and we'll keep you updated on all details. Achieve more with less injury. Partner up to learn key screening techniques to achieve direct results. Take away invaluable DIY exercises that will help you feeling more free and aligned, boost your performance and reduce the chance of injury. 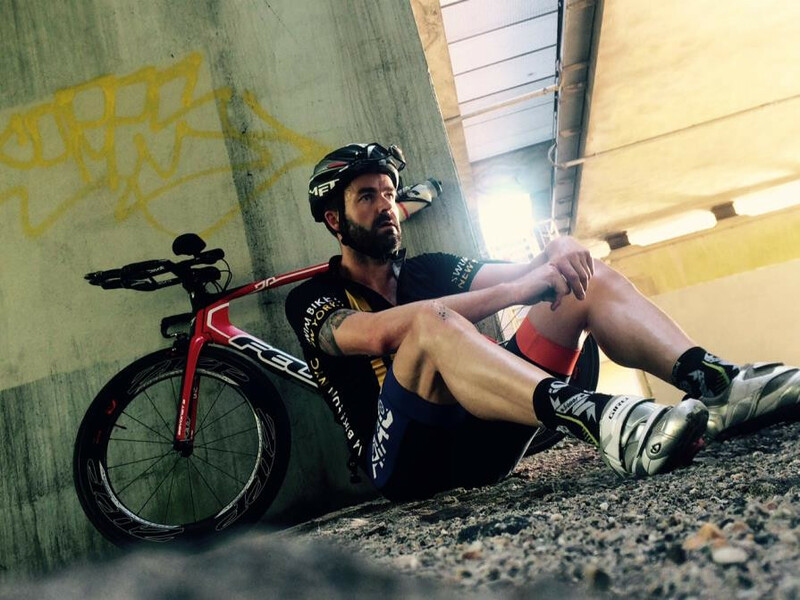 Q. I’m just getting started in triathlon with no real background in any of the three sports. My question is: am I too slow for coaching? Great question because it’s one I hear a lot; and it’s a huge misconception that only fast athletes need coaches. The real questions you need to ask yourself are: am I committed to getting faster, could I improve faster under expert guidance, and am I the type of person who responds well to being held accountable? I’m bound to say that everyone needs a coach, right? It’s in my own interest to state that. But I actually don’t think that’s the case. 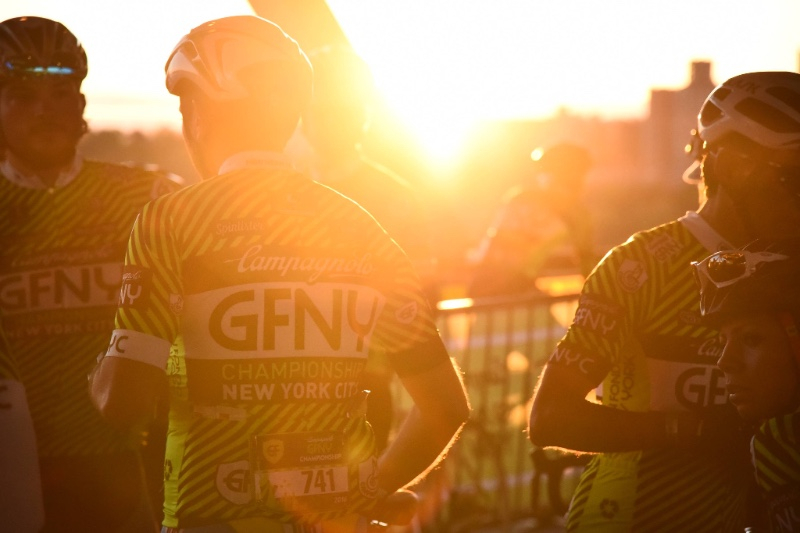 If you’re a casual triathlete who likes to compete but isn’t too concerned about getting faster, then you’re better off doing what you want when you feel like doing it and joining group sessions as much as possible. The flip side of that is if you’re an extremely motivated and disciplined athlete, you may be able to find a schedule online and stick to it. 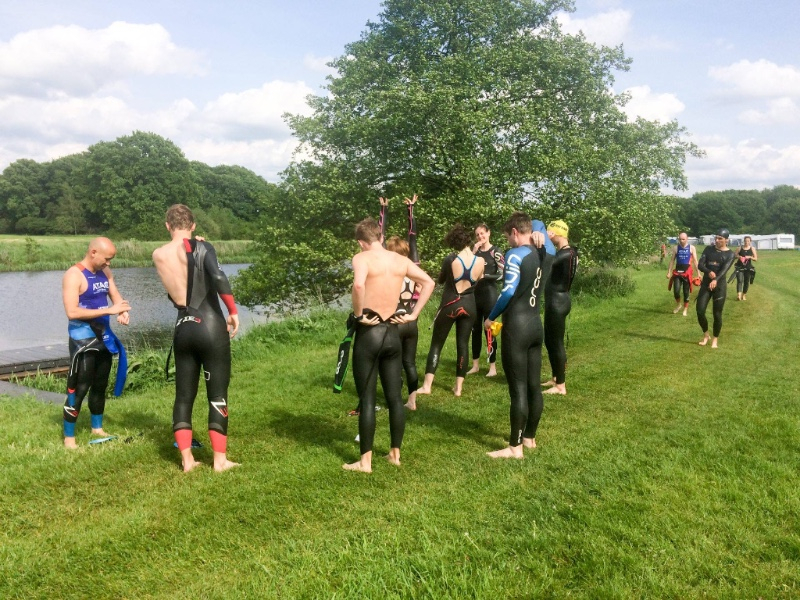 for the first couple of years, coaching would have been wasted on me – I just needed to swim, bike and run more, and I did that by joining local clubs. But, in my third season, once the improvements from ‘just doing more’ plateaued, I joined up with a coach who was able to blend my training around my strengths and weaknesses, create schedules that took my work and life commitments into account, and that relationship took me to the next level. The biggest concern I hear is that a coach won’t want to or enjoy coaching a slower athlete but I can 100% assure you that, for most coaches, this couldn’t be further from the truth. I have athletes of all flavors on my books but some of my proudest moments as a coach have been seeing my athletes finish their first ever 10k or sprint tri at the back of the pack. While coaching more experienced athletes is about finding small percentages to increase performance, slower athletes can often make huge gains with good coaching and that’s enormously rewarding for both coach and athlete. Ultimately, good coaching is about helping people achieve their goals; no matter how fast or slow they may be. Getting ready for another round of tri suits! We’ll start with the fitting try outs at the Monday intervals and after that the shop opens. The suit costs 105€ but with it you are also entitled to discounts on many of our events. 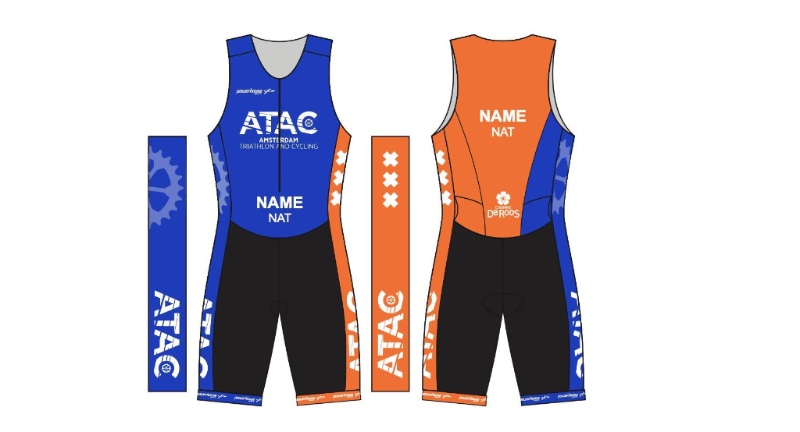 So, if you are still not a proud owner of an ATAC tri suit, here’s your chance. Something different this week. How to look after your expensive wetsuit. A little care will help to make this last a lot longer. After I have used it, what should I do? Rinse out in cold or warm fresh water after each use. Allow to dry inside out, away from direct sunlight, before turning back the right way once the internal material has dried. How should I store my wetsuit? Store on a wide suit-jacket type hanger to avoid creasing. If required in any area (such as wrists or ankles) a lubricant will aid getting the suit off quickly. A lubricant will also benefit any chaffing area. Do not use petroleum based products like vaseline. Ok to use are products such as: baby oil, body glide, vegetable oil, silicone gel. What is bad for my wetsuit? Avoid or limit chlorine pool use. Chances are you did not follow the instructions on how to maintain it, and wash and dry it, or you peed in it. To avoid nasty smells, wash and dry inside out after every use! A little work saves a lot of money and more bad smells. Fingernail cuts can occur on the smooth surfaces of a wetsuit. You will need rubber cement glue. It is available at any hardware store. Optionally you can buy a "puncture repair kit" from any bike store (the glue used to fix bike tyre inner tubes is also rubber cement glue). You will also need a small brush (such as an artists painting brush) or a spatula (which can simply be a thin piece of plastic or card). Fold the wetsuit over at the point of the cut so that the cut opens up to reveal the two surfaces that need to be glued back together. Apply a thin, even layer of rubber cement glue to both surfaces. Continue to hold the cut open while the glue dries. Do not rejoin the surfaces while the glue is still wet or tacky. The glue will only take 1 to 3 minutes to dry (depending on room temperature and humidity). The glue looks glossy when wet. It will become matte when dry. Once it appears dry, then check it by gently touching the glue surface to check. It will feel only slightly tacky and will not stick to your finger. Flatten out the suit so that the two surfaces come together. The bond is instant. Pinch the two surfaces firmly together. Note: the suit can be used in the water straight away. However, the maximum bond is achieved over a period of 4 to 6 hours. Therefore, you should avoid putting any immediate pressure on to the repaired surface. The kit has been ordered. Delivery details to come.